Count Emmy Award voters among the slew of people nationwide who've been charmed and captivated by The Ad Council's famous, viral "Love Has No Labels" diversity and inclusion PSA campaign, created by R/GA and production company Mindride. As Adweek predicted when the nominees were announced, the spot, filmed on Valentine's Day in 2015, won the Emmy Award for Outstanding Commercial at the Creative Arts Emmys on Saturday at the Microsoft Theater in Los Angeles. It's the first such win by a PSA in Emmy history. 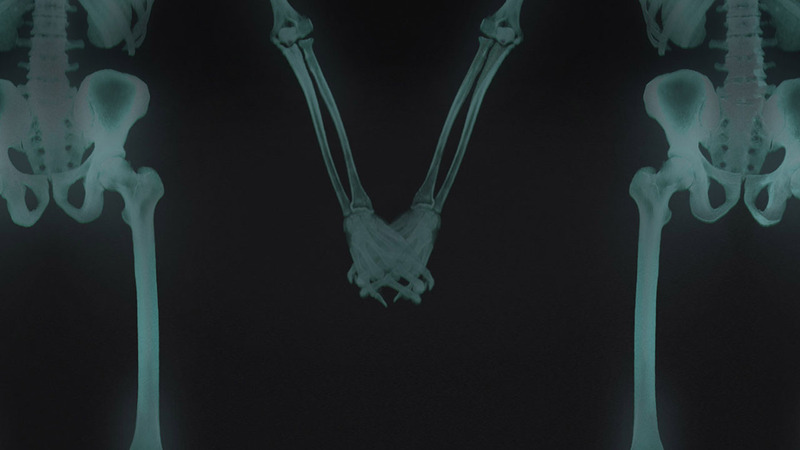 The ad features an X-ray screen with human skeletons seen dancing, hugging and kissing. Eventually the humans themselves walk in front of the screen. Each reveal shows a loving couple who represent different religions, races, disabilities and so on, demonstrating that "love has no labels." The video beat four brand spots to take the coveted prize—Gatorade's "Dear Peyton" by TBWA\Chiat\Day; Snickers' "Marilyn" by BBDO; Honda's "Paper" by RPA; and and Google's "Year In Search 2015" by 72andSunny. "We are thrilled to be recognized by the National Academy of Television Arts and Sciences with this award and want to thank our extraordinary brand and media partners who have helped make the campaign such a success," said Lisa Sherman, president and CEO of the Ad Council. "We are so grateful to everyone who has watched and shared the PSA, and taken our message of love and inclusion to heart." "It's satisfying when the work that you believe in so passionately is watched and shared by so many people," added Nick Law, vice chairman and global chief creative officer of R/GA. "But our greatest hope is that this commercial contributes to a more thoughtful and accepting America." The campaign has been supported by brand partners including Bank of America, Coca-Cola, Google, PepsiCo, P&G, Unilever, State Farm, Wells Fargo and others, and by an advisory board of nonprofit partners, including The Perception Institute, the Southern Poverty Law Center and the Anti-Defamation League. The spot has been viewed over 160 million times, making it the second most viewed social and community activism video of all time, according to the Ad Council.